Dr. Fenglian Xu is currently an Assistant Professor in the Department of Biology at Saint Louis University, MO, USA. She obtained her Ph.D in Neuroscience from the University of Alberta, Canada. She completed her postdoctoral training from the University of Calgary in Canada. Dr. Xu is the invited reviewer for several journals including, Scientific Report, Molecular Brain, Neuroscience, Neurotoxicology Research,International Journal of Nanomedicine, Journal of Lipids in Health and Disease, etc. 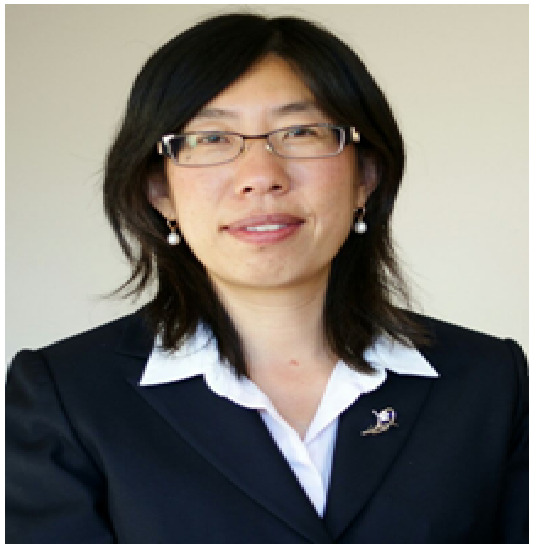 Dr. Xu’s research interests lie in the field of brain development and neurodegeneration. Specially, she investigates how neuronal circuitry of brain cells are established during early stage of development. She also study how environmental neurotoxins may interfere with critical genes or proteins and cause developmental retardation or neuronal degeneration. The ultimate goal of her research is to identify genes, proteins and cellular signaling pathways that are critical for brain development and help develop strategies to ameliorate negative effects of environmental neurotoxins. 2. Ghazavi, A., Westwich, D., Xu, F., Wijdenes, P., Syed, N.I., Dalton, C. (2015) A circular, planar electrode serves as a better substrate for neuronal stimulation than sinusoidal and spiral electrodes. Journal of Neuroscience Methods, 248: 51-58. 7. Zhu, Z., Xu, F., Ji, W., Ren, S., Chen, F., Chen, P., Jiang, H., Mi, Z., Hu, B., Zhang, J., Xiong, Y. (2014) Synaptic mechanisms underlying thalamic activation-induced plasticity in the rat auditory cortex. Journal of Neurophysiology, 111(9): 1746-58. 8. Ren, S., Shao, H., Ji, W., Xu, F., Chen, P., Jiang, H., Mi, Z., Wen, Bo., Zhu, G., Zhu, Z. (2014) Riluzole prevents soluble Aβ1-42 oligomers-induced perturbation of spontaneous discharges in the hippocampal CA1 region of rats. Amyloid, 4:1-9. 14. Xu, F., Proft J., Gibbs, S., Winkfein, B., Johnson, J.N., Syed, N.I., and Braun J.E.A. (2010) Quercetin causes cysteine string protein dimerization and impairs synaptic transmission. PLoS ONE, 5 (6): e11045. 15. Xu, F., Luk, C., Richard, M.P, Zaidi, W., Svetlana, F., Getz, A., Lee, A., van Minnen, J., and Syed, N.I. (2010) Antidepressant Fluoxetine suppresses neuronal growth and perturbs synapse formation between cholinergic neurons. European Journal of Neuroscience, 31(6): 994-1005. 16. Xu, F., Hennessy, D.A., Lee, T., and Syed, N.I. (2009) Trophic factor-induced intracellular calcium oscillations are required for the expression of postsynaptic acetylcholine receptors during synapse formation between Lymnaea neurons. Journal of Neuroscience 29 (7): 2167-2176. 17. Xu, F., Tse, F.W., and Tse, A.. (2008) Stimulatory actions of pituitary adenylate cyclaseactivating polypeptide (PACAP) in rat carotid glomus cells. Advanced Experimental Medical Biology 605:69-74. 18. Xu, F., Tse, F.W. and Tse, A. (2007) Pituitary adenylate cyclase-activating polypeptide (PACAP) stimulates the oxygen sensing type I (glomus) cells of rat carotid bodies via reduction of a background TASK-like K+ current. Journal of Neurochemistry 101(5):1284-93. 19. Xu, F., Xu, J., Tse, F.W. and Tse, A. (2006) Adenosine stimulates depolarization and rise in cytoplasmic Ca2+ concentration in type I cells of rat carotid bodies. American Journal of Physiology– Cell Physiology 290(6):C1592-8.